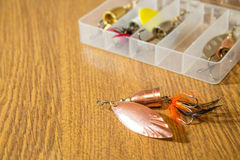 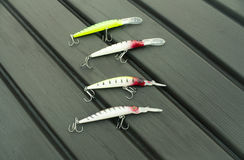 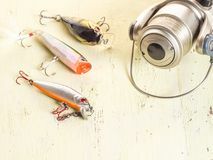 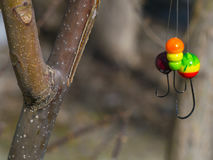 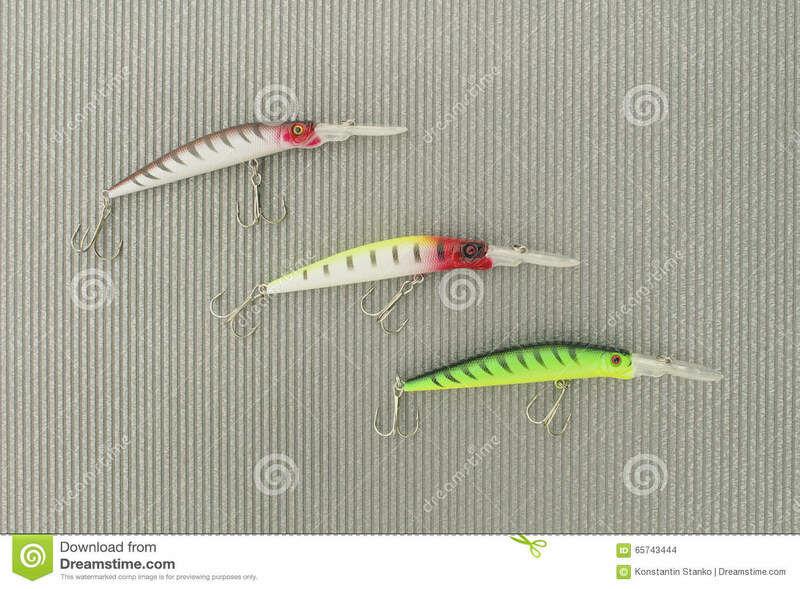 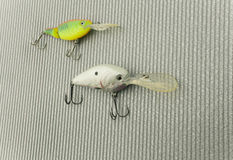 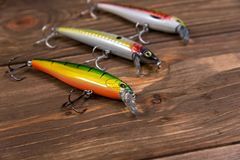 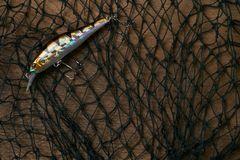 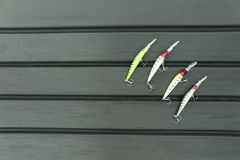 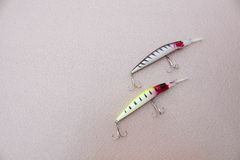 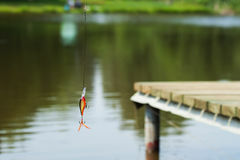 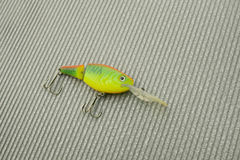 Fishing lures on a wooden background Three multi-colored jig for fishing and branch Fishing lure isolated on white. 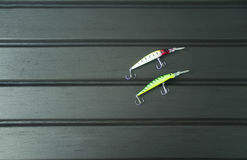 Wobbler in three color. 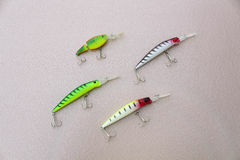 Fishing lure and fishnet Plastic fishing lure for spinning , active rest. 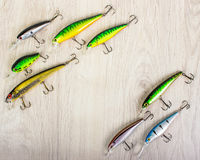 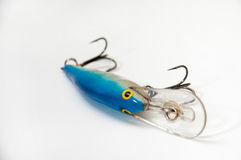 Blue and white lure for fishing with a three-arm hooks Tackles for fish - reel and wobblers on a wooden background Fishing lures on old wooden table Lures for pike fishing.